How Facebook tracks specific details about your life? More time Facebook keeps users on the site, the more data it can collect on each of us. 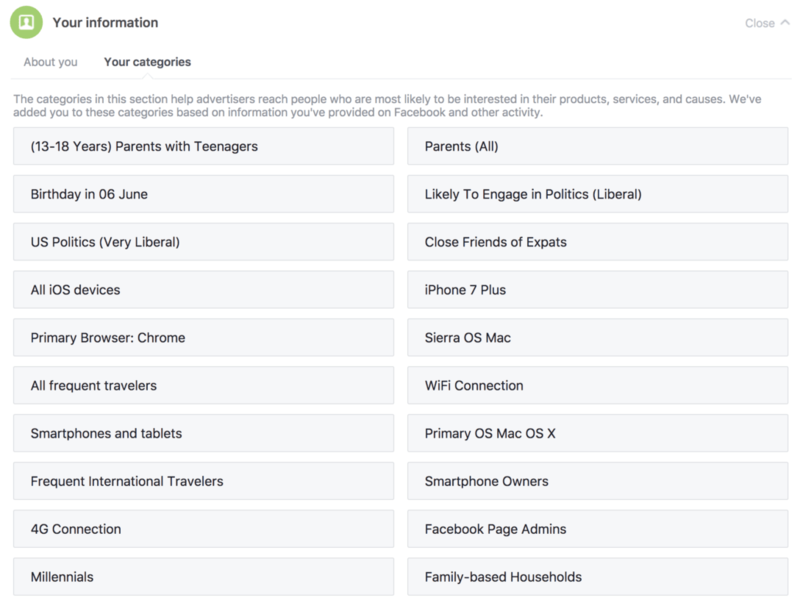 This data is what brings advertisers to the platform, and ultimately what puts dollars in Facebook. In order to increase our chances of interacting with ads and growing advertiser demand that keeps Facebook earning revenue; platform has a very neat system that segments us by our likes and dislikes.